Ahmednur Ali's family fled the chaos and violence of their West African homeland Somalia in the 1990s, eventually making their way to Minnesota like thousands of their compatriots. While many of the estimated 32,000 Somalis who settled in the state have struggled to adapt, Ali flourished, blazing a path to Minneapolis' Augsburg College on a soccer scholarship by age 20. He studied political science and aspired to a political career modeled on President Barack Obama's. He was shot and killed last September outside a busy community center where he worked part-time as a youth counselor, and prosecutors said the 16-year-old accused of killing him was part of a gang. Ali was one of seven Minneapolis-area Somali men killed over a 10-month period, and authorities believe all were killed by fellow Somalis. Police say it's too simple to tie all the killings to Somali gangs, which have lured hundreds of young community members to their ranks in recent years. Those in the insular community willing to speak out, however, disagree. "It was all gang activity, totally, 100 percent," said Shukri Adan, a former Somali community organizer who estimated in a 2007 report for the city that between 400 and 500 young Somalis were active in gangs. "The police don't want to say that but everybody else knows that." Despite anger and despair over the killings in Minnesota's Somali community - the nation's largest - police and prosecutors have struggled to catch and try the killers. Few witnesses have stepped forward because of a fear of reprisal and deep-rooted distrust of authority. More than half of Minnesota's Somalis are living in poverty, according to state statistics, and many complain that authorities are biased against Somalis because of their Islamic faith. Last month, prosecutors dropped the murder charge against the teenage boy in Ali's case after one witness backed out and another apparently fled the state. Gangs like the Somali Hot Boyz, the Somali Mafia and Madhibaan with Attitude have grown more active in recent years, said Jeanine Brudenell, the Minneapolis Police Department's Somali liaison officer. The recent spate of killings started in December 2007, when two Somali men, ages 27 and 25, were found shot to death at a south Minneapolis home. No arrests have been made in that case. They culminated last September, when a man was fatally shot outside of the Village Market Mall, a cluster of Somali-owned businesses and a popular destination for local Somalis. 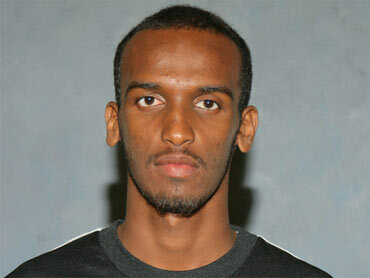 Investigators believe the shooter was retaliating for the death of his cousin, one of the other slain Somalis. The mall shooting was the only of the seven slayings for which anyone was convicted - 23-year-old Hassan Mohamed Abdillahi. Hennepin County Attorney Mike Freeman said he hoped the conviction would show local Somalis that the law is on their side, and spark new progress in closing the other cases. "We have a job to do to convince people they can trust us," he said. A gang expert in California said economic and social factors are more likely to blame for the spike in gang activity than any spillover of violence from war-ravaged Somalia. "When there's unemployment and poverty and lack of external support, there's gangs," said Jorja Leap, a social welfare professor at the University of California Los Angeles and former gang adviser to the Los Angeles County Sheriff's Department. Investigators in a separate criminal investigation have said they've also had trouble penetrating Minnesota's Somali community. The FBI is looking into the disappearance in recent years of up to 20 young Somali men, mostly from Minneapolis, believed to have been recruited into Islamist terror groups back in Somalia. The first sign of progress in that investigation came this week with the indictment on terrorism charges of two young Somali men, at least one of whom is accused of traveling to Somalia to fight. Elsewhere in the U.S. and Canada, police and community officials have reported an increase in Somali gang activity. In and around Edmonton, Alberta, six young Somali men have been slain in the last six months. The leader of a small Somali outreach group there said the deaths are seen as evidence of a growing gang problem, and that they've led to better cooperation between Somalis and police. "It seems like the community now is getting to the point where we are trying to give information to the police, and they are sharing information with us," said Mohamednur Mardowe, who heads the Brotherhood Community Support Service Association. Police in Columbus, Ohio, which has the second largest U.S. population of Somalis, have also seen growing evidence of Somali gangs, said Sgt. Chantay Boxill. Ahmednur Ali's sister, Hindia Ali, said she hopes her fellow Somalis will stand up against the violence. "I don't think any Somali person wants killing to continue," she said. "We all want this violence to stop."